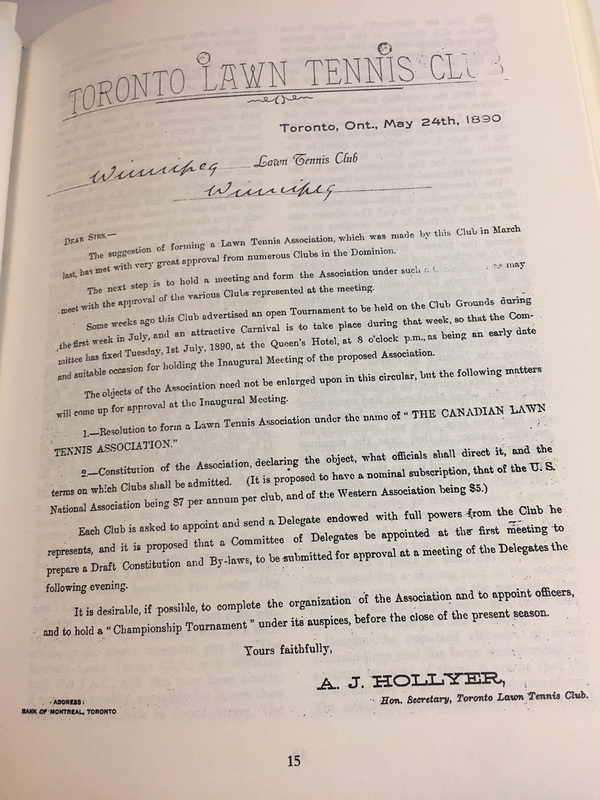 In 1890, the Canadian Lawn Tennis Association was formed and naturally, since the Toronto Lawn was the prime mover behind the formation and organized its initial meeting for July 1, at the Queen’s Hotel in Toronto, the Toronto Lawn hosted an open tournament for the delegates, won by Mr. Martin of Montreal, to celebrate the occasion. The Association held it’s first championship on September 2, 1890 – and where else, but at the Toronto Lawn. The winner was Mr. Tanner of Buffalo, but needless to say, the Toronto Lawn was well represented. Among the players from the Lawn were R.W.P. Matthews and Scott Griffin.